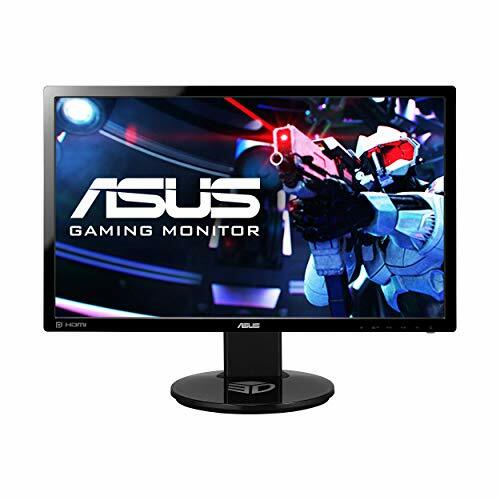 Who Would Buy This: Gamers who are looking for extra smooth action, rapid refresh rate and quick response time will find the ASUS VG248QE 24 Full HD 1920×1080 TN 144Hz 1ms DisplayPort HDMI DVI-D Ergonomic Back-Lit LED Gaming Monitor very impressive. The ASUS VG248QE is purposely built to clear out the chaos with a 144Hz refresh rate and 1ms response time, delivering the best performance for fluid gaming and movie playback. With GamePlus, you can now keep track of your game times with the built-in timer function overlay, and you can also enable a crosshair onscreen. 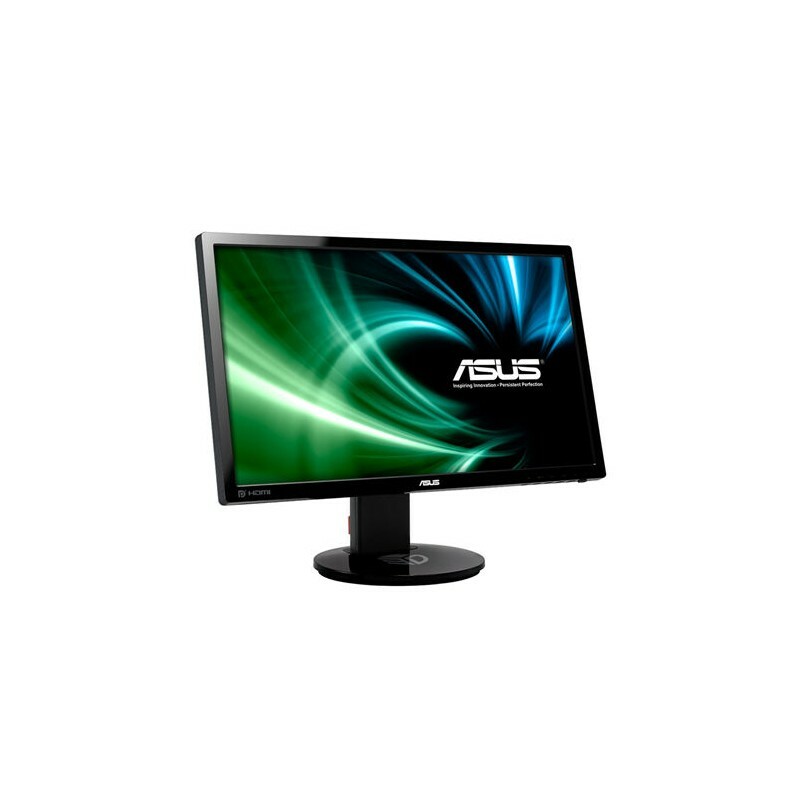 The ASUS VG248QE 24 Full HD 1920×1080 TN 144Hz 1ms DisplayPort HDMI DVI-D Ergonomic Back-Lit LED Gaming Monitor will let you play as fast as you can, with the monitor shortening the time it takes for rendered frames to display on the screen. With lower monitor latency, you can enjoy an improved signal processing between your system and monitor. With reduced response time, you can ensure fluid and clear video playback more than twice the frame rates of standard LCDs. Also, the VG248QE monitor features the exclusive GamePlus hotkey with crosshair overlay and timer functions, where you can choose from 4 different crosshairs to suit your gaming style and keep track of spawn and build-times with the on-screen timer. It sports extensive connectivity options, including DisplayPort, HDMI and Dual-link DVI, and an ergonomically-designed stand with tilt, swivel, pivot and height adjustments, making it an ideal choice for a multi-display gaming set-up. Moreover, this monitor from Asus delivers the finest 3D gaming experience, with the NVIDIA 3D LightBoost Technology that increases the brightness of the LED backlight for better 3D with zero increase in total energy consumption. As expected from a TN panel, the VG248QE monitor’s colors are a bit lacking. You can fix this with hardware calibration using the monitor menu settings and make it suitable for games and even for non-professional color work on videos and images. Should something happen to your VG248QE, you can rest assured, as it comes with a 3-year system and panel warranty to protect it from the unfortunate. To provide you with even greater convenience, the ASUS Rapid Replacement cross-shipping would send you a replacement unit as soon as the defective unit is in the mail, which can shorten your waiting time. It is clear that the ASUS VG248QE 24 Full HD 1920×1080 TN 144Hz 1ms DisplayPort HDMI DVI-D Ergonomic Back-Lit LED Gaming Monitor can take your gaming experience to another level. This is highly recommended, as it will surely meets you expectations from the investment you would make for it.